She owns two certificates in law, Mrs. Riendeau, for more than 30 years, worked in the field of real estate law, where she participated in the development of residential, commercial and industrial real estate projects. She has been instrumental in finalizing contractual transactions for real estate projects in cooperation with developers, municipal stakeholders, lawyers, builders and investors. His honest approach, his trustworthy personality and his professional experience allow to guide his clients, successfully, through the process of a real estate transaction, both commercial and industrial. 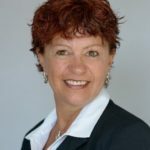 She is a member of the Organisme d’autoréglementation du courtage immobilier du Québec (OACIQ), Executive Vice President, General Manager and Chartered Real Estate Broker within the agency. Her great attention to detail and efficiency make her a broker of choice.